It will at least November until Reston’s first nanobrewery opens its doors. Lake Anne Brew House owners Jason and Melissa Romano purchased the former Singh Thai space at 11424 Washington Plaza last spring. They said they hoped to be open by October. In a post on the business’s Facebook Page earlier this week, the owners said everything is “just WAITING to be hooked up and brewed on and start brewing some beer,” however Fairfax County Health Department regulations have stalled the process. And the regulations are taking extra time because this will be Fairfax County’s first nanobrewery. A nanobrewery — a growing segment of the craft beer market — is a small microbrewery operation, typically producing fewer than three barrels at a time. A barrel is typically 31 gallons or two kegs. When the brew house opens, the beer will be made on-site in the former kitchen space. There will be bar and inside seating, as well as seating on the deck overlooking Lake Anne. Under Virginia law, breweries can sell pints of beer on site without the need for food service. Food service is required at bars. 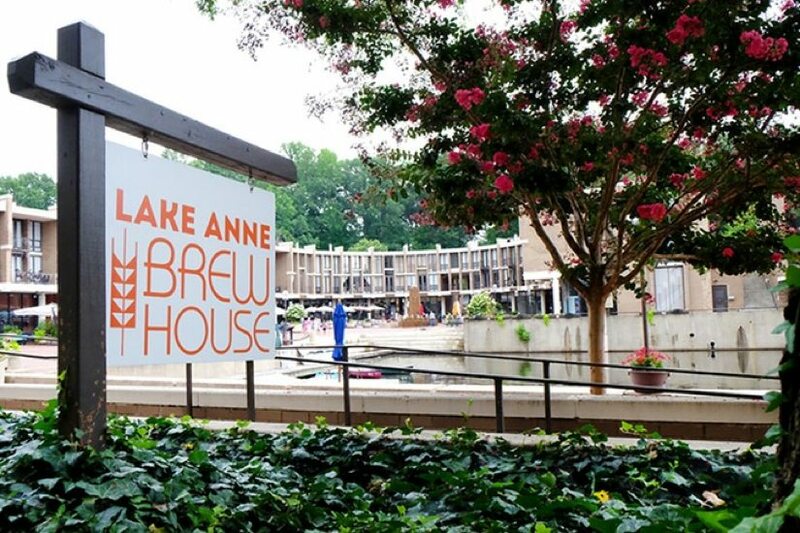 There won’t be a kitchen at Lake Anne Brew House, but Melissa Romano said previously they will sell simple snacks (similar to food operations at a winery) to go with the beer.